There’s never a shortage of great ads around Super Bowl time, but what will likely be one of this year’s standouts debuted on YouTube last Friday. The thirty-second commercial for Duracell batteries features Seattle Seahawks fullback, Derrick Coleman. According to Adweek, Coleman is the first legally deaf player in the NFL offense. The spot stays true to Coleman’s real life. By using hearing aids and reading lips, he overcame his disability to become a star fullback at his high school in Fullerton, California. He then went on to be rated the number-two fullback in the country upon entering college. But even though he had a stellar career at UCLA, the 2012 NFL draft ignored him. 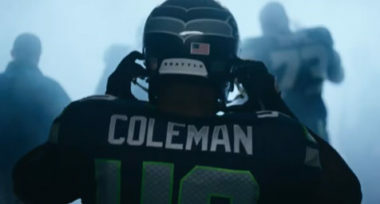 Refusing to give up, Coleman tried again the following year and was picked up by the Seahawks. Whether the ad sells more Duracell batteries remains to be seen. If nothing else, this inspirational story will surely have fans cheering on the Seattle Seahawks. As reported by Mashable, the commercial, Trust Your Power, has received nearly two million views since its posting on YouTube last week. To stay up-to-date on the latest advertising and branding developments, contact MDG Advertising.